Join us this weekend with Pusat Ehsan to support their Charity Bake Sale and Art Workshop Event. 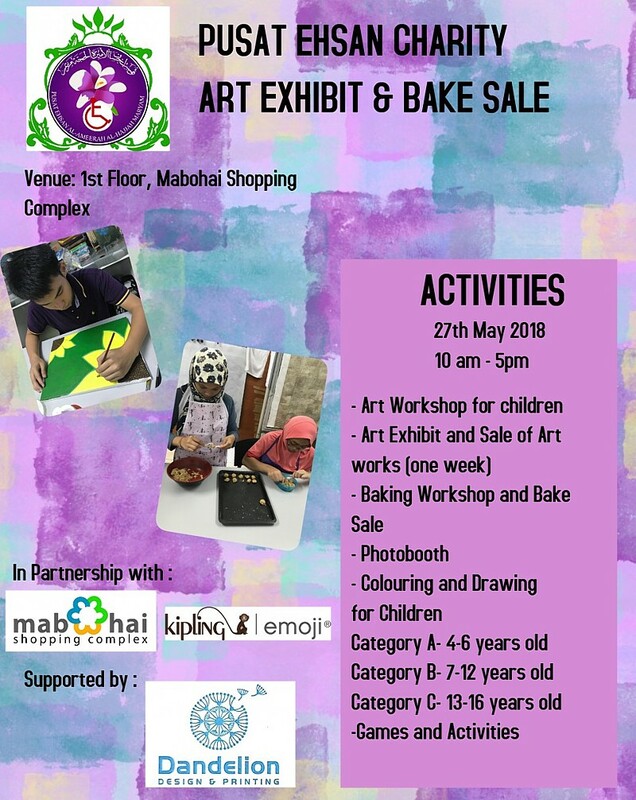 Come and join the different activities for children and families and have a wonderful time with your children as you help support Pusat Ehsan’s program. Buy some artworks from the creations of these wonderful artists, or join the colouring competition. See you this Sunday, 27 May 2018 at Mabohai Shopping Complex. 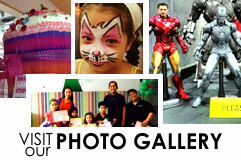 Come and visit the “Boundless Plains” photo exhibition by the Australian High Commission in Brunei at the Event Stage. Come and see our very own athletes from the Wushu Federation of Brunei Darussalam during their special appearance at The Event Stage. Its a back to back Car Boot Sale event this coming 24 February and 3 March at Mabohai Shopping Complex. Come and enjoy a day of fun and games, colouring contests, Lego treasure hunt, guessing games and more. See the ongoing Lego Exhibit in front of Starbucks at the First Floor. This is the second half of our Back to Back Car Boot Sale event! Slots are still open for interested participants - remember, its pre-loved heaven. Book Donation is ongoing at the Book Donation Center at the Event Stage. Keep bringing your books for adoption and don’t forgot to come on the 3rd of March to adopt your new books!